Learn the secrets of creating a strong spiritual family that can withstand the challenges of modern life. Families are a source of emotional support, love, security and protection. Healthy family relationships result in happy and secure children. Healthy families benefit family members in important ways and help provide a unique sense of belonging and value that cannot be found in other relationships. The benefits of healthy families are far-reaching and all encompassing. But the perfect family is a myth. Every family will experience stress provoking challenges they must deal with. But some families are better equipped to endure stressful moments than others. These families form strong family bonds able to withstand the pressures of modern life. But what are their secrets? What do they do that separates them from others families? 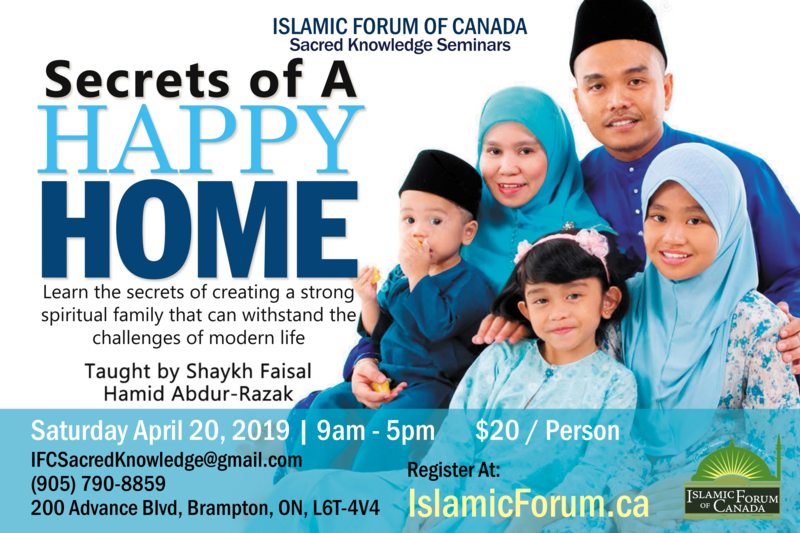 Shaykh Faisal Hamid Abdur-Razak will share the secrets of building strong healthy families based on the Sunnah of our beloved Prophet Muhammad (SAW). These secrets will help your family withstand the challenges and stress of modern life.